Reset Your Digestion - Reset Your Life! Transform yourself and kick unhealthy habits to the curb once and for all with a cleanse based on the ancient wisdom of Ayurveda. Using food as medicine, certified Ayurveda practitioner Kerry Harling will help you get to the root causes of ill health and bring your body, mind and spirit into balance. Ayurveda works because it’s not a diet; it’s a holistic approach to living that’s tailored to your “dosha,” or unique metabolic type. Kerry is a globally recognized leader in the field of integrative medicine and the ancient science of health known as Ayurveda. She is passionate about raising awareness for the need of a change in contemporary medicine that focuses on patient empowerment and a health based (rather than disease-based) medical system. Kerry practices at The University of Pittsburgh Center for Integrative Medicine and remains a pioneer in the field of integrative medicine where she has developed a personalized system to manage chronic disorders by incorporating fundamental changes in diet, behavior, and stress while focusing on genetics. This individualized program is so successful that many of her clients have achieved maximum healing and vitality after years of chronic problems. Kerry is a published author and a Ted Talk presenter. The first phase clears out your digestion, ridding your body of toxins that lead to illness and lethargy. In the second phase, healing foods and daily practices ignite your digestive fire, transforming your physical and emotional health. In the third phase, you’ll reintroduce foods based on your individual needs and learn how to maintain this new lifestyle. Each phase has a day-by-day schedule, an illustrated yoga sequence, a guided meditation, pranayama (breathwork) and journal prompts to support your journey. 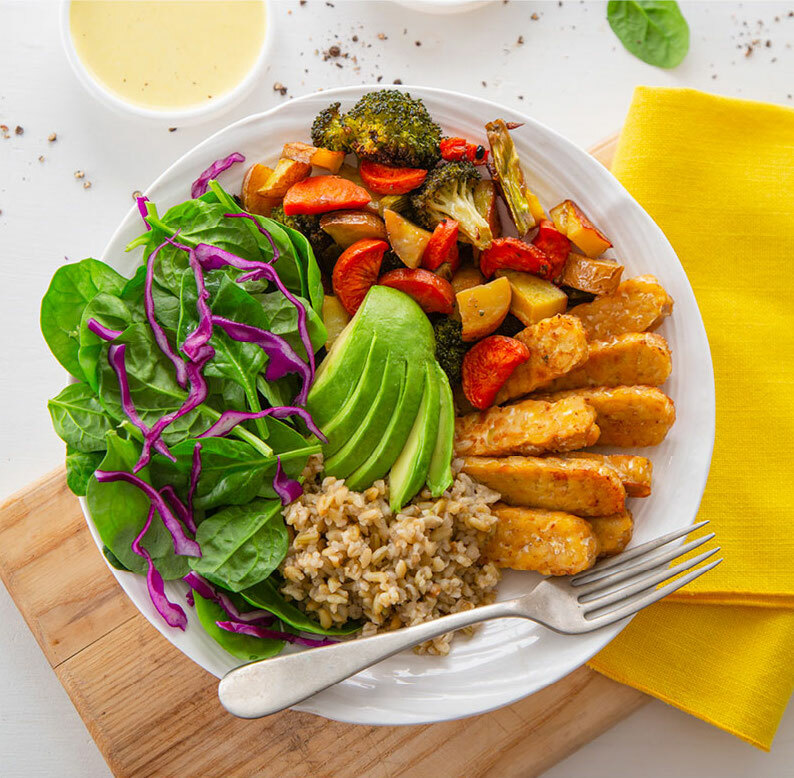 Rather than counting calories or determining ratios of macronutrients in a one-size-fits-all approach, you’ll receive guidance with the freedom to customize the plan that feels right to you. You’ll also learn to prepare nourishing and delicious meals with beautifully photographed recipes, such as Pumpkin Saffron Soup, Vibrant Coconut Cream Curry and Sesame Ginger Salmon Salad. With Kerry guiding the way, you can achieve long-lasting wellness that brings your body, mind and spirit into complete harmony within 25 days. You’ll emerge on the other side rejuvenated, glowing with vitality from the inside out. “The ancient Ayurvedic teachings give us the guidelines regarding cleansing, detoxification programs and palliation therapies to calm down the dosha in situ, in its anatomical position. 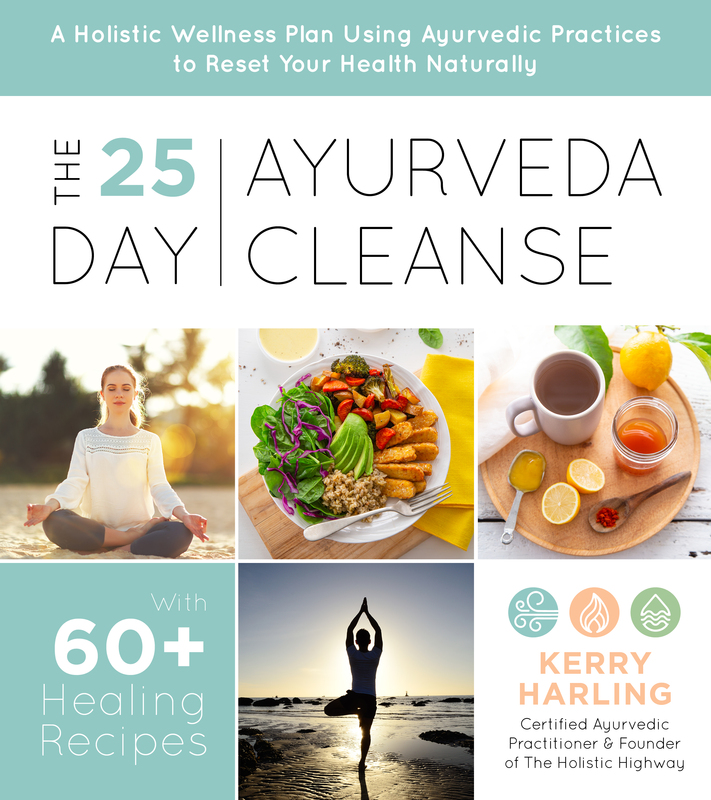 Kerry Harling’s book will guide your cleansing plan through special yoga practices, breathing techniques, diet, and lifestyle. Cleansing, based upon the principals of Ayurveda as shown in this beautiful book, supports a long, happy, healthy, and peaceful life. "Kerry Harling has written a must-read primer for anyone considering Ayurveda or interested in improving their overall health naturally…Read this book - and learn from one of the best." “All of us will have times when our health begins to decline. For some, the problems affect many systems in the body. For many, despite seeking out medical care, a clear diagnosis or cure is elusive. We’re regularly exposed to toxins in our food and environments. On the spiritual end, we may be affected by toxic experiences that impact on our psychological and physical health. Ayurveda is a rich healing system, that seeks to restore balance across the body, mind, and spirit. When our electronics get bogged down, we give them a reboot, why not clear out the cobwebs in our systems as well.